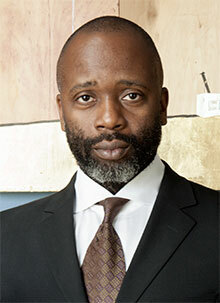 Artist and social activist Theaster Gates will return to Emory University in September for a series of talks on art and activism, hosted by the Stuart A. Rose Manuscript, Archives, and Rare Book Library. These programs would not be possible without the generous funding support from the Schwartz Artist in Residency Program. Saturday, Sept. 3, at 3 p.m.
“‘A Race of Artists’: Examining Art and Social Activism,” an ArtDBF panel with Theaster Gates and other multi-disciplinary artists, moderated by Christeene Alcosiba, Rose Library manager of operations and public programming, co-sponsored by ArtsATL. UPDATE: This event has been postponed and will be rescheduled for Spring 2017.